Indeed, it did. 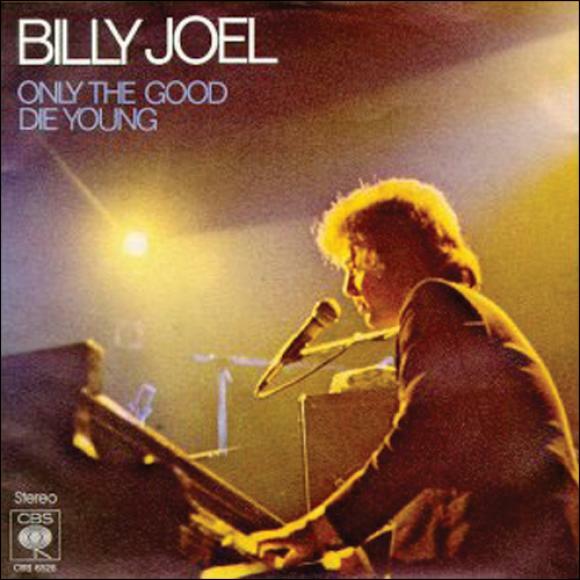 “Only The Good Die Young” stands pretty tall amongst Billy Joel’s vast catalog of hits, one of his signature songs that never lose their luster. And while Joel may have received some assistance at the song’s inception, his songwriting and performing skills are ultimately what put it across. It’s easy to take his hits for granted, because they seem so effortless. It’s only when you start to pick a song like this apart that the craft involved emerges. First of all, Joel’s gift for melody and his respect for matching the perfect lyrics to the tune and meter, skills that arguably are unrivaled by anybody in pop music with the exception of Paul McCartney, really shine here. There’s not a wasted moment in the song, not a syllable that’s out of place. That kind of pristine construction is what makes “Only The Good Die Young” so instantly memorable. Some religious groups reacted strongly to the song upon its release for perceived slights, but “Only The Good Die Young” is way too benign to have caused such a ruckus. After all, there’s no indication in the song that Virginia ever gives this would-be romancer the time of day despite all his pleadings. Besides, Joel never seems to be knocking Catholicism so much as saying that there is a way to enjoy life’s pleasures and still, to paraphrase one of his future songs, keep the faith.